Trees please me. 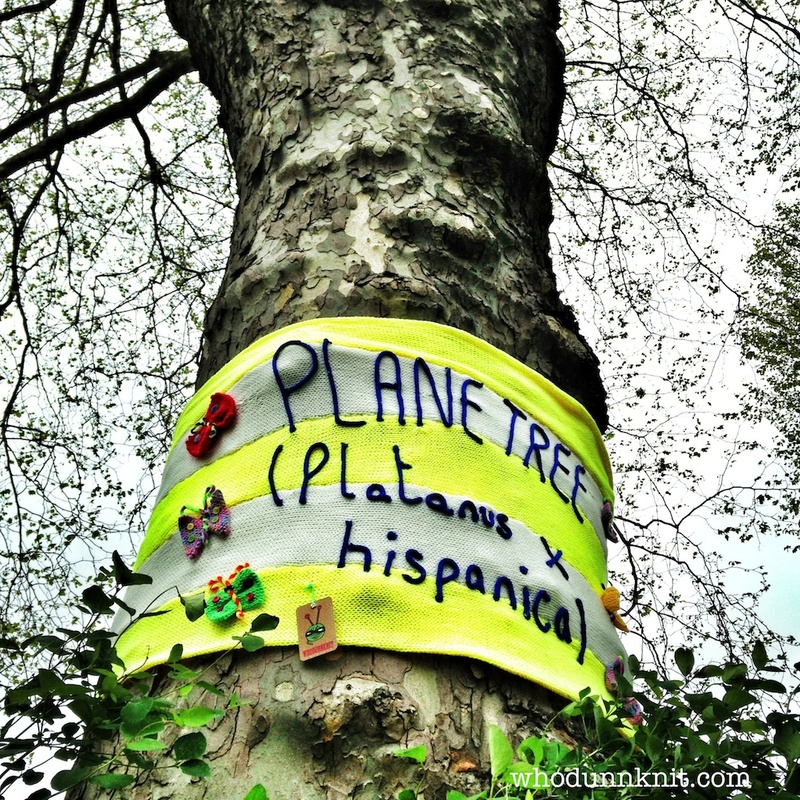 I love a good tree. All my favourite books as a tiny Knitshade had decent trees in them. The Neverending Story had talking trees, Where the Wild Things Are saw monsters swinging from branches, and the hero of Roald Dahl’s The Witches spent all night in a treehouse hiding from a hungry witch below. 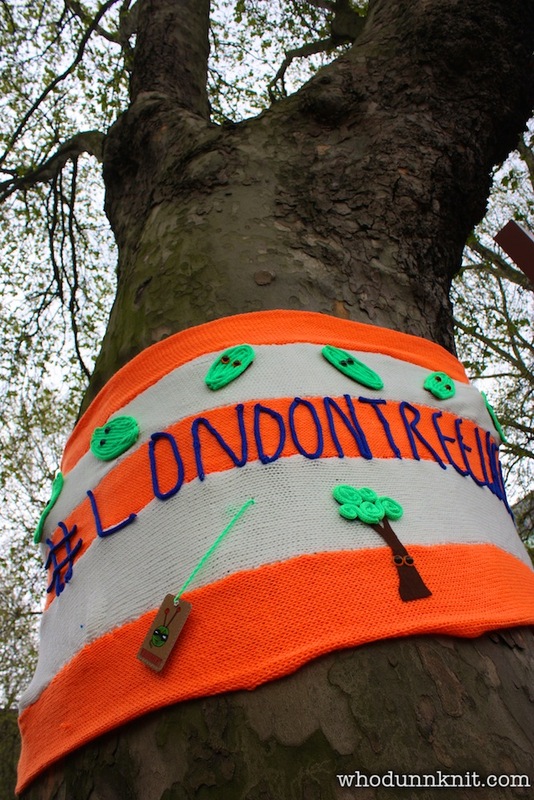 So when the knitphone rang and the Greater London Authority asked me to show some trees a little woolly love for London Tree Week, part of the Mayor’s RE:LEAF initiative, how could I refuse? 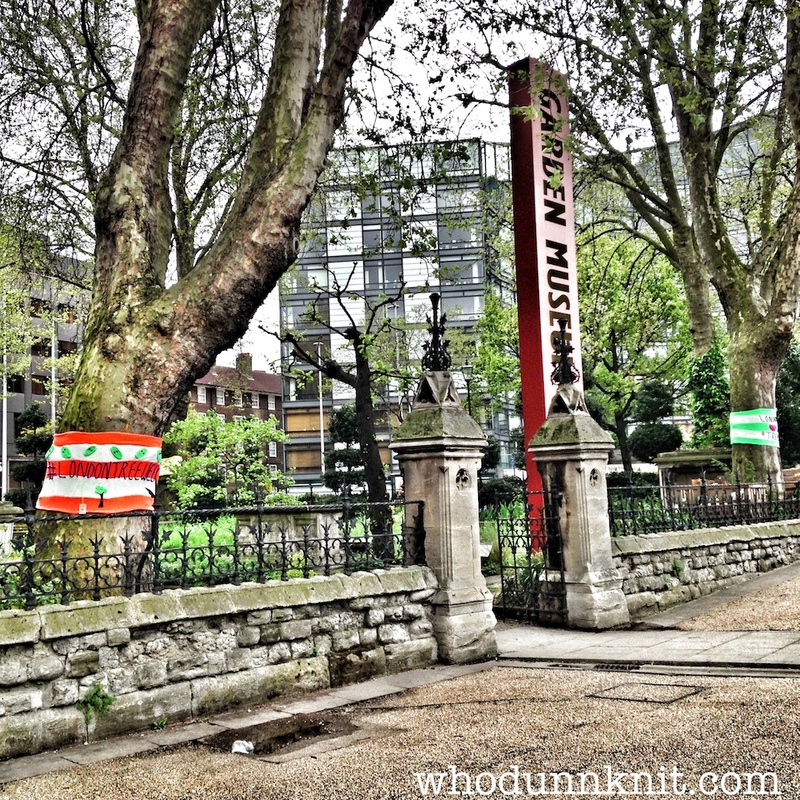 I was commissioned to create four woolly banners for four ancient plane trees outside the London Garden Museum, a little island of green goodness on the banks of the Thames next to Lambeth Bridge. First there’s Fibre Faced Frank. 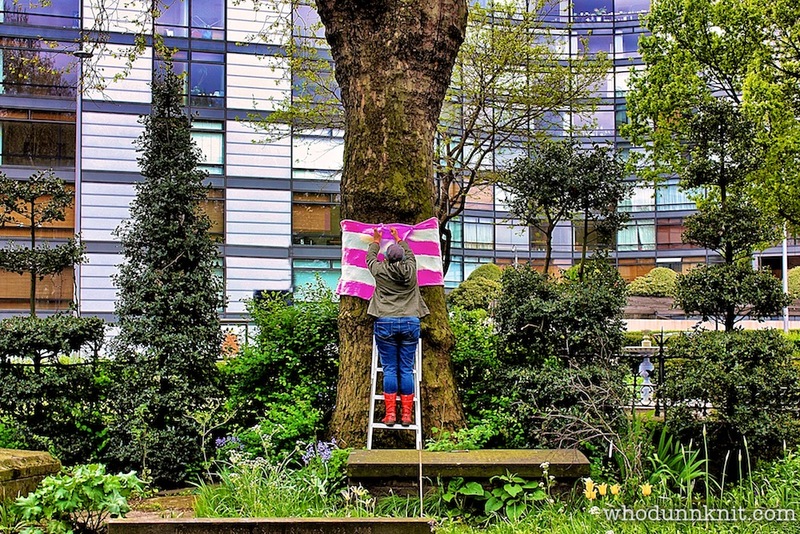 He’s pretty in pink and sits at the back of the Garden Museum watching over the plants and shrubs with a toothy smile. Next comes Leafy Latin Leroy. He likes to lure in the ladies with his yellow latino loveliness. Leroy is covered in rather funky floating flutterby butterflies who can help you read the latin aloud if you ask them nicely. They’re a helpful bunch. 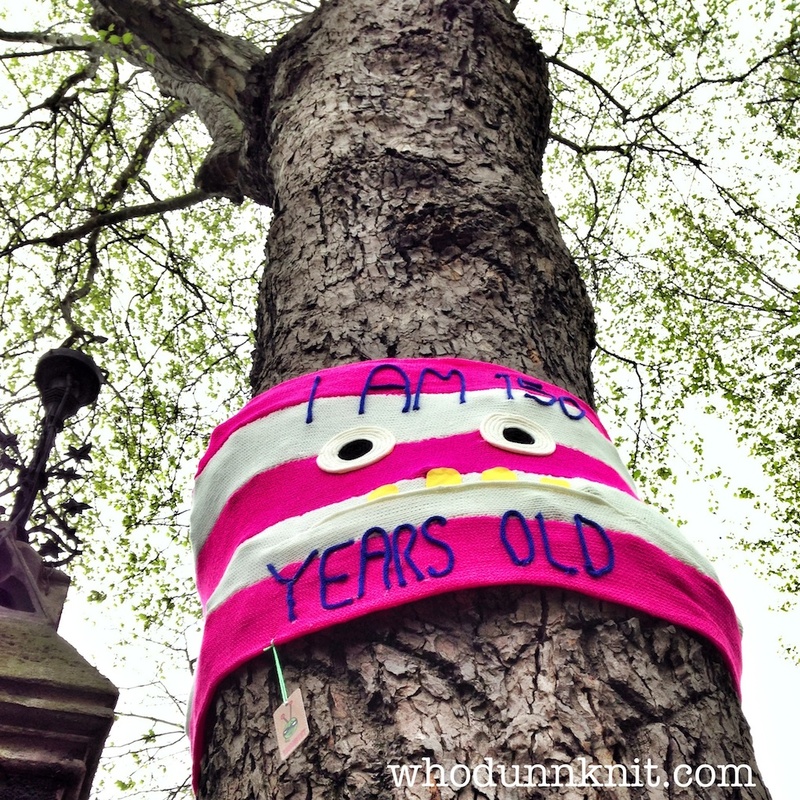 Next up in Green Gerty showing all the tree-hugging love with her handmade banner. Bless her. And last but not least with have Tabitha Treebody whose garland of giggling leaves can be heard twittering to themselves if you get close enough to hear it. 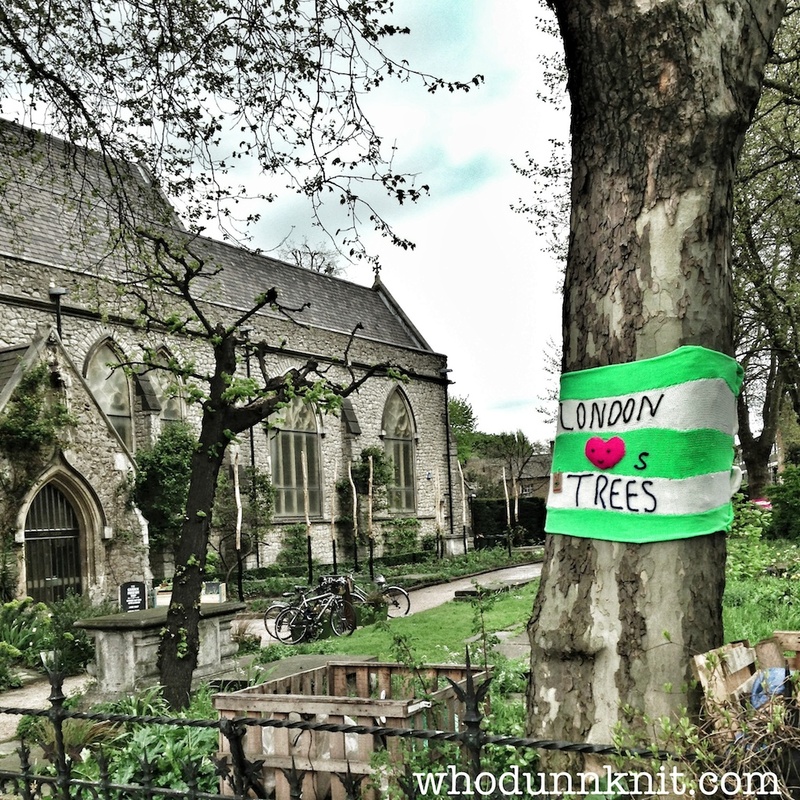 She’s sporting the #londontreeweek hashtag. Go Tabby! 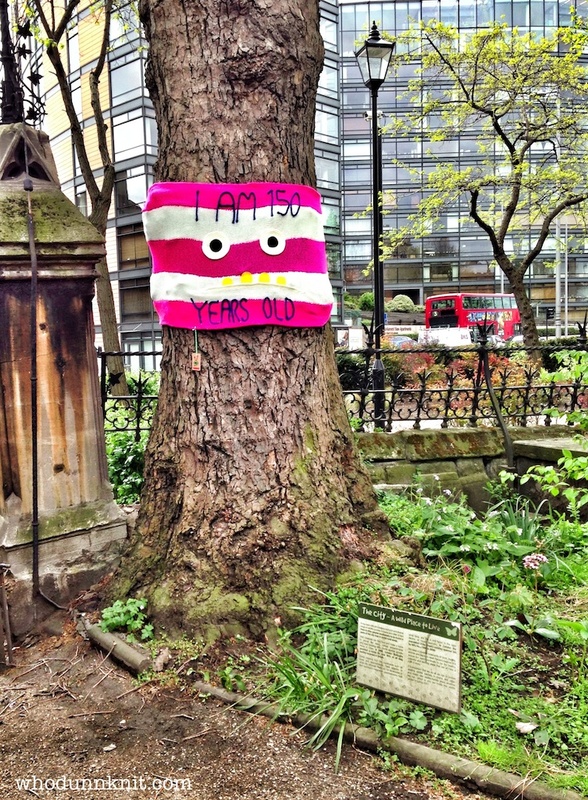 The trees will be at the Garden Museum until the 18th of May 2013 so do amble over there and say hello. 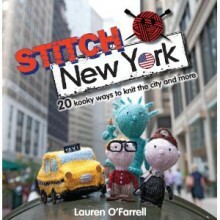 They love meeting new people and showing off their woolly wearables. The Fluffy Forest Four took a week and a half of hard making to conjure up with over 65 balls of yarn knit into 60 metres of fabric. Here’s how it all comes together. 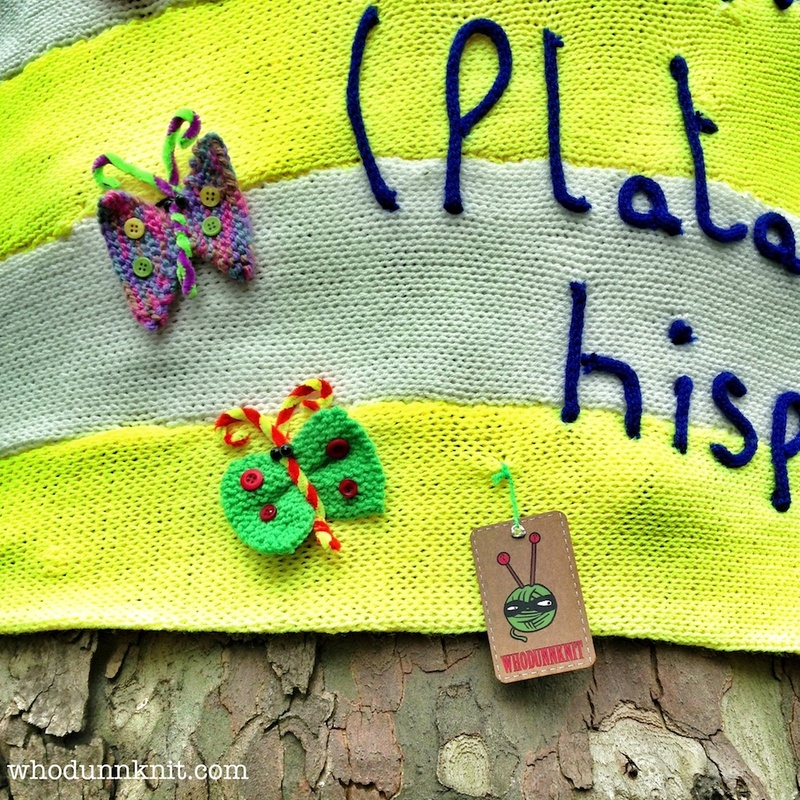 You can also grab the free funky floating flutterby butterflies knitting pattern if you want to spread some nature-based knit yourself. 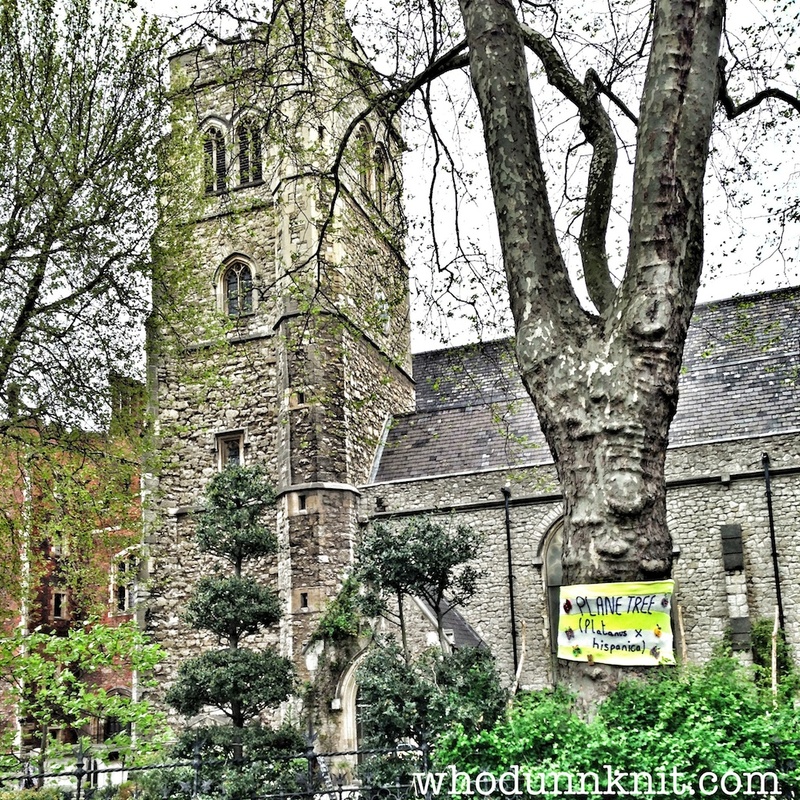 Huge thanks to the marvellous Knityoghurt for recommending my knitting madness, Lisa from the GLA, and to the brilliant Cygnet Yarns whose eye-popping colours continue to rock. Oh I do love a pun! Thanks! I absolutely love this project. AND it’s so colorful! !